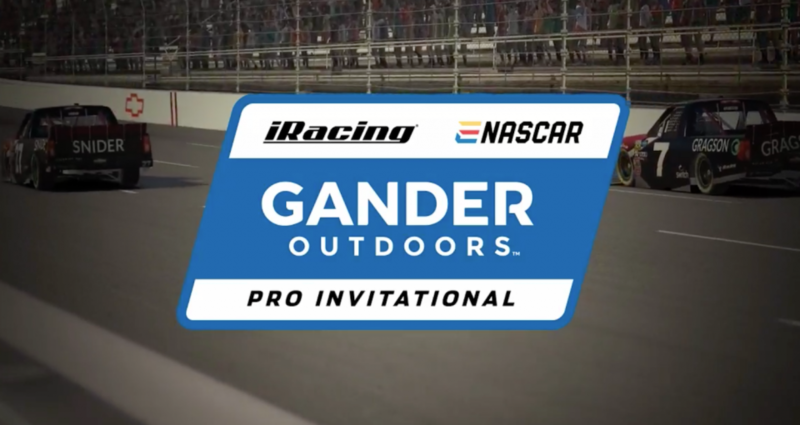 Christian Eckes executed a textbook bump-and-run to move to pass Garrett Smithley in the final laps of the eNASCAR Gander Outdoors iRacing Pro Invitational on Tuesday night at the virtual Martinsville Speedway. Eckes, the Kyle Busch Motorsports developmental driver, held onto the top spot after the move on Smithley, who wound up second. Derek Kraus surged in the closing laps to finish third, while Christopher Bell and Max McLaughlin rounded out the top five. Despite being bumped from what looked like a possible win late, Smithley was a good sport. Guest commentators Michael Waltrip and Kaitlyn Vincie added an extra layer of authenticity in the race, announcing for the same NASCAR stars they’d normally cover during a traditional race. Ricky Stenhouse Jr. watched from the grandstands — well, his desk. Free admission! All in all, the drivers put on an exciting show and had a little fun with no points on the line. Ended up p3 in the @iRacing race tonight! Hoping to have another good run like tonight on Saturday! Finished 9th in the @NASCAR_Trucks Pro Invitational @iRacing event tonight at @MartinsvilleSwy! Had a lot of fun and thought we had a shot at a top five if it weren’t nose damage the last half of the race slowing the truck down. Between two eNASCAR PEAK Antifreeze team owners — NASCAR driver Parker Kligerman and Chicago Bears guard Kyle Long — Long came out on top with a seventh-place finish over Kligerman’s 11th. Gander Outdoors Truck Series rookie Anthony Alfredo, who placed ninth, experienced a first — racing against an NFL player. Kyle Long said he had fun racing Alfredo, but maybe that’s because Long finished two spots ahead of him. Just remember the most important rule, as John Hunter Nemechek learned: don’t try to race using a WiFi hotspot. It won’t end well.